Funeral services will be 10:00 a.m., Tuesday, April 2, 2019 with viewing beginning at 9 at the Little White Church in Hill City. Pastor Dennis Siebert will be officiating. Interment will follow at the Hill City Cemetery. 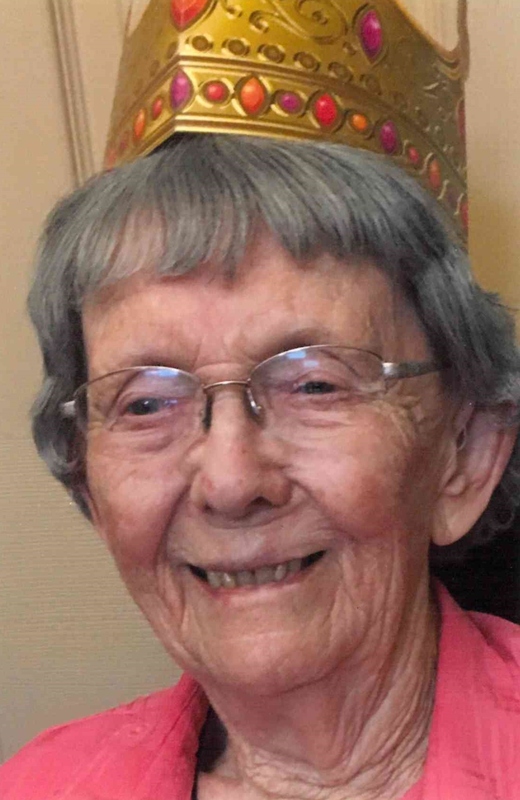 Theresa M. Burden, longtime Hill City resident, passed away on Wednesday March 27, 2019. She was born on May 20, 1922, the fourth of four children born to William and Flo Behrens of Hermosa. She grew up on the ranch on Spring Creek, attended country school and graduated from Rapid City Central High School. She attended Chadron State Teacher’s College where she met and married her husband of 68 years, Robert Burden. She was preceded in death by her husband, a daughter Bonnie, all of her siblings and many cousins descended from her grandfather’s family of eleven. She is survived by two sons, Ross (Sue) Burden, Hot Springs and Keith (Laura) Burden, Custer; six grandchildren and six great grandchildren. She is fondly remembered by many relatives, friends and first grade students from her many years of teaching in Hill City. Her modesty, gentleness, graciousness are well remembered. Her love of music and nature was passed on to her family and shared with the larger community where she was the church pianist for many years at the Little White Church in Hill City.